ELEVATOR! 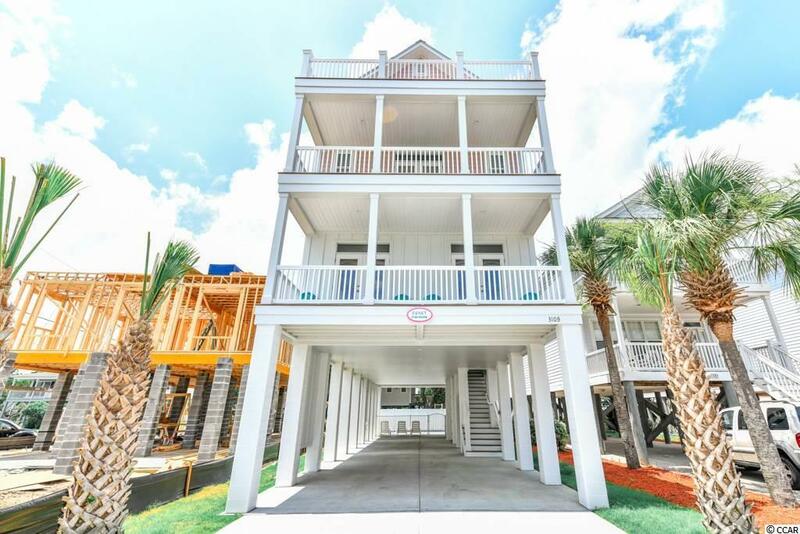 BRAND NEW (completed in June for the 2018 rental season) 3700+ SF, 2nd Row, 7 bedroom 6.5 bath home with amazing views across the largest beach access in Surfside Beach (the 3rd Avenue North walkover). This home has all of Oslin Custom Homes quality features including concrete masonry pier supports underneath (no wood supports on our homes!) Hardie plank Color-Plus siding with 15 year no fade warranty, Trex brand composite decking with PVC railing and balusters for a zero maintenance exterior, Trane HVAC units... Interior has custom 1 wood cabinets with granite tops in kitchens and baths, stainless steel appliances, Luxury Vinyl Plank flooring throughout for that beautiful beachwood look and ultimate durability. Bead-board wainscoting in all common areas add that classic beach look and protect the walls from wear and tear, bullnosed/rounded sheetrock and LED downlighting throughout the common areas add more top-quality finishing touches. Directions: From Hwy 17 Bus, Turn Onto 5th Avenue North In Surfside Beach And Drive To The Ocean (Ocean Blvd.). Turn Right (South) Onto N. Ocean Blvd. And Drive Two Blocks. Property Is On The Right At The Intersection Of N. Ocean Blvd. And 3rd Avenue North.